The Jacksonville Jaguars’ bread and butter is by and large running back Maurice Jones-Drew; as such, he would be the key for the Jaguars as they took on the Indianpolis Colts and their porous run defense. Yet the defense, namely the secondary, forced the Jacksonville Jaguars’ QB David Garrard out of his comfort zone as he was forced to go four-and-out with less than 2 minutes left in the game, enabling Indianapolis to hang on to the 14-12 win at Lucas Oil Stadium Sunday. The running game was nothing to really write home about although running back Joseph Addai ran for a touchdown and 42 yards. 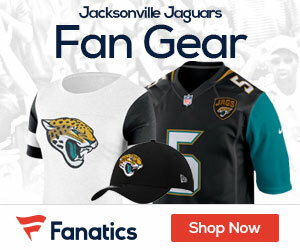 The Colts were shaky early as Manning threw a pick in the first quarter; as a result, the Jaguars used their running attack, led by Maurice Jones-Drew, to good results as kicker Josh Scobee converted a 24-yard field goal at the 8:55 mark of the second quarter, giving Jacksonville a 3-0 lead. A decent drive led by Manning in the quarter, culminating in a 3-yard TD run by Addai, gave the Colts a 7-3 lead with 3:39 remaining in the half. Scobee would add a 46-yard FG to narrow the gap at halftime at 7-6. The third quarter was classic Manning as he led a drive a she went to the reliable Reggie Wayne often; they would connect on a 35-yard strike, giving the Colts a 14-6 advantage with 6:56 remaining in the quarter. Jones-Drew would score from 7 yards out, reducing Indianapolis’ advantage to 14-12; Jaguars coach Jack Del Rio opted to attempt a 2-point conversion, but were unsuccessful as their version of the “Wildcat” offense didn’t quite work. The Colts went 4-and-out after a mediocre drive, giving Jacksonville one last shot at the win. But a combination of a tight, Cover-2 defense along with timely pressure, especially from Colts defensive end Dwight Freeney, allowed Indianapolis to hang on for the narrow victory. Manning, as previously mentioned, had a decent outing as he went 28-for-38 for 301 yards with a TD and an INT while Garrard was mediocre, at best, going 14-for-287 for 122 yards. Addai led the Colts’ ground attack with 17 carried for 42 yards and a score while Donald Brown added 33 yards on 11 carries; Jones had a good effort for the Jags as he rushed 21 times for 97 yards and a TD while catching five balls for 26 yards. Wayne had an excellent game for Indianapolis as he caught 10 passes for 162 yards and a score while Clark caught four for 39 yards; Jaguars wide receiver Torry Holt led their receiving corps as he caught 3 passes for 47 yards. There was a somewhat significant injury on the Colts’ side as WR Anthony Gonzalez went down in the first half with from what I saw appeared to be a knee injury; more results should be forthcoming. The Jaguars had injuries of their own, mostly on their defense. Again, once results arrive, NFL Gridiron Gab will bring the information to you. With the win, Manning tied Hall of Famer and former Colts QB Johnny Unitas with his 118th win. Indianapolis (1-0) will now travel to Miami to face the 0-1 Dolphins while Jacksonville (0-1) will return home for their season opener next week as they host the Arizona Cardinals.